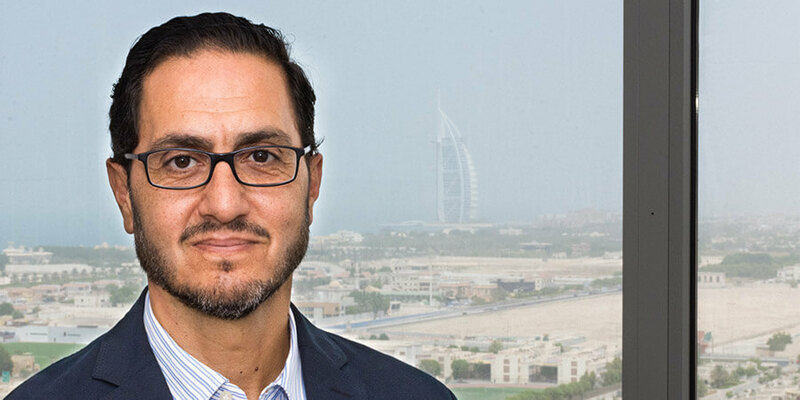 NXN, under the dynamic leadership and vision of its CEO Ghazi Atallah, has established itself as a pioneer in helping enterprises both in the public and private sector to achieve their digital transformation goals. Ahead of GITEX, Telecom Review managed to secure an exclusive interview with NXN's CEO to find out more about NXN's strategic alliance with Zain, its planned activity at GITEX, its smart energy partnership with du and new projects and programs it has in the pipeline. NXN are now the leading full digital services provider in the GCC region and are spearheading a number of exciting new initiatives and projects in the UAE, Kuwait, and Saudi Arabia. At GITEX, NXN along with its strategic partner Zain will showcase a number of innovative solutions that they have jointly developed together, and which are aligned with Kuwait's Vision 2035 government development plan. How important of an event is GITEX for NXN especially that it allows you to solidify the existing relationships you have with your partners? Does the event enable NXN to generate potential new business opportunities? GITEX is one of the most important events in the ICT sector across the region. The event has been in existence for a long time and attracts all the key players and stakeholders from the telecommunications sector. Over the last few years, the event has evolved into a smart digital event. So there's a lot more focus on smart cities and digital transformation which makes GITEX even more interesting for us because this is the area we're focused on. It's ideal platform to showcase our latest portfolio of innovations that enables building a smart nation. Can you tell us more about NXN's participation with its strategic partner Zain at this year's GITEX? It is the first time Zain has participated at GITEX, so can you tell us what you will be showcasing with them? This is the first time that Zain is participating at GITEX and we're very excited about highlighting our collaboration with them at such an industry-leading ICT event. We're going to be showcasing a whole host of innovative solutions that we've jointly developed with them over the last number of months. GITEX visitors will get to experience Zain and NXN smart solutions for various verticals including health and living, mobility, digital economy, and smart education. Some highlights will include cutting-edge new service launches like the smart healthcare, interesting technology powered by our digital transformation platform DNX - and new partnerships in collaboration with industry-leading partners. Is the partnership between NXN and Zain aligned with Kuwait's strategic direction in its Vision 2035 and National Development Plan which incorporates seven key pillars? The Kuwaiti government is embarking upon a very progressive and ambitious transformation program which is entitled Kuwait's 2035 Vision. Zain, as the leading infrastructure provider in the country will obviously be the key enabler for the government to execute its goals and objectives. Zain has selected NXN as a partner to assist them because of our expertise in digital transformation and smart city solutions. We've created a roadmap that has taken into consideration the smart nation transformation plan in Kuwait which focuses on seven key pillars ranging from healthcare to education. Our aim was to map these solutions so there was a clear alignment with the overall program - and we will exhibit these innovations at GITEX. NXN's partnership with Zain has accelerated the delivery of smart city and smart nation solutions and services across the GCC region. Can you outline to us any new initiatives you've both got in the pipeline? NXN and Zain are engaged in multiple projects across the GCC region. Our collaboration is a diverse one and that has resulted in us embarking on initiatives that cover a wide-range of industry verticals. One area where we are utilizing both our knowledge and expertise is in the area of smart security. There is a growing momentum behind the development of smart cities on a global basis, but with the explosion of connected devices expected to rise exponentially by 2020, the security aspect of cities has ultimately become much more complex. Our new initiative is focused on virtual safety and security capabilities. We want to deliver smart security as a service across Kuwait – and with the help of our partners Zain Kuwait we've just launched our smart security program which thus far has been well-received by the market. We've managed to secure some major clients from the financial sector who are proactively seeking to integrate new technologies into their existing systems in an effort to make their security more smart and robust. Our program is enhancing operational efficiency for the customer and at the same time is significantly reducing their costs. In addition to this, we've also launched a very progressive smart healthcare program which gives a much more personalized experience for individuals in relation to their heath. The program enables users to monitor themselves on a daily basis - and connects the user directly with its healthcare provider in a very sophisticated way. The collaboration between NXN and du for smart energy management services has been described by some in the industry as a real 'game-changer' in terms of environmental sustainability. Are you jointly showcasing any of these innovative new energy solutions at GITEX? We will have our smart energy solution that we created in partnership with du on display at their stand during GITEX. We will have the opportunity during GITEX to bring in customers and show them what smart energy as a service looks like. So the idea is the same, you take the capability that you have through technology by connecting all the key elements of a building remotely and being able to again analyze data, apply intelligence, apply analytics and then come back with recommendations on energy efficiency. This is an offering now that we've termed with du, we've done the commercial elements of the offering - and we've done the technical elements in terms of integrating with the infrastructure provided by du and now we've launched that into the market. We're very excited and we've got lots of interesting customers immediately. We've got some really hot opportunities and we're talking to major developers that have expressed an interest in deploying this solution across their infrastructure. It's a very simple deployment, because it's all based on IoT technologies connecting to the key devices, but the core of the solution is smart energy capability that allows us to take the data, analyze it, showcase it, dashboard it as well as provide recommendations on what to do in terms of energy efficiency. Can you tell us more about how this ambitious and innovative new partnership with du (EITC) has progressed over the last number of months? We've progressed fairly quickly from the time that we started the discussion and evaluated the solution. It was important that we made sure that technically it was a good fit, and once this was achieved we immediately launched a program to align, coordinate and integrate across the two entities. We did the technical workshops and discussions to integrate technically, and at the same time we had commercial discussions to look at the various offerings in the packaging - and go-to-market discussions so we can start identifying the right customers. It really has progressed very quickly, and we're very excited about that and we believe it's an offering that's going to be a 'game-changer' in the market. In relation to smart energy, we're not stopping with this solution. As a solution and a capability, we're going to be adding on lots of functionality to really make it in the future a smart district. So we will capture the energy aspects of the district but we will also be able to capture the security aspect of the district. We will eventual have a smart district package. How has 2018 been thus far for NXN? There has been an economic downturn in the region, but has that affected your business? And can you tell us about any new smart city or smart district projects you may embark on in the next twelve months? Economically it has been a challenging year for all sectors across the region. However, for us we've been lucky. Our business verticals are in the smart city, smart energy, smart security and digital transformation space and this has been an area where people have continued to invest and have continued to launch new products. So I think we're lucky in the sense that we're in the right place and thankfully performing well. We're happy with our position in the market and we've continued to win new projects and to launch new opportunities. We've just recently been assigned by Masdar to design and develop their new command and control center for energy efficiency. This is a very exciting project for us. In addition to this, we're also quite excited about a project in Kuwait with South Al Mutlaa which is a big community and district where we have also been assigned as a smart district partner. We're doing the same thing across many countries and we've got a lot of interesting and exciting projects ongoing across the GCC region. 2018 is continuing to be a good year for us. Finally, what are your primary objectives and goals for the remainder of 2018? We, as an organization, have transformed, and we're continuing to transform into a full digital services provider. We've evolved from being a consulting engineering organization into a full digital services provider. That is the journey we've embarked upon, and that's what we're going to continue to do: we're going to continue this transformation. We're very keen to take on more and more managed services like smart energy, smart security and smart districts. Our aim is to continue to combine our expertise in engineering consultancy as well as our expertise in building and managing those services for the rest of 2018 and looking ahead towards 2019.